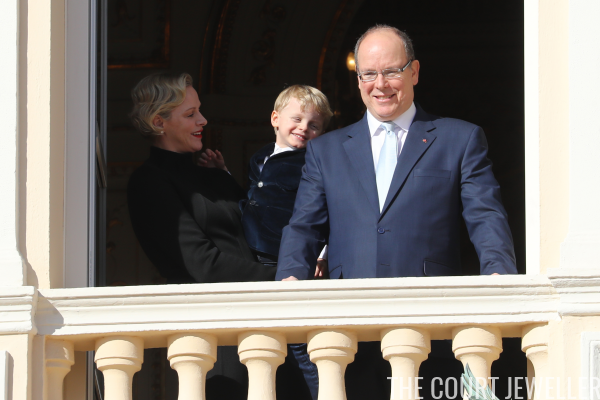 Monaco celebrated its patron saint, Sainte Devote, this weekend, bringing us some bejeweled appearances from the princely family. 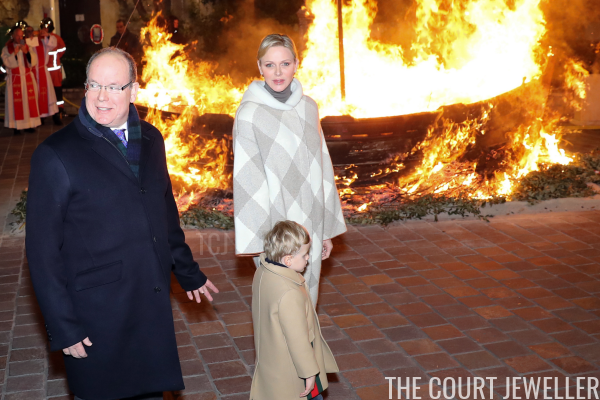 Prince Albert II, Princess Charlene, and Hereditary Prince Jacques headed to Port-Hercule on Saturday evening for one of the most interesting yearly traditions of the Mediterranean principality. Each year on the eve of the feast day of Sainte Devote, a symbolic fishing boat is brought to Port-Hercule and set on fire. The tradition recalls two separate incidents. After she was martyred in Corsica, legend has it that Sainte Devote's relics were saved from a funeral pyre and put on a boat headed for Africa. A storm nearly overtook the vessel, but a dove was said to have appeared to guide the boat to the shores of Monaco, where a chapel was built in Devote's honor. Hundreds of years later, an Italian sailor tried to steal the saint's relics from Monaco; he was caught and punished by Monaco's Grimaldi ruler, and his boat was set on fire on the beach. 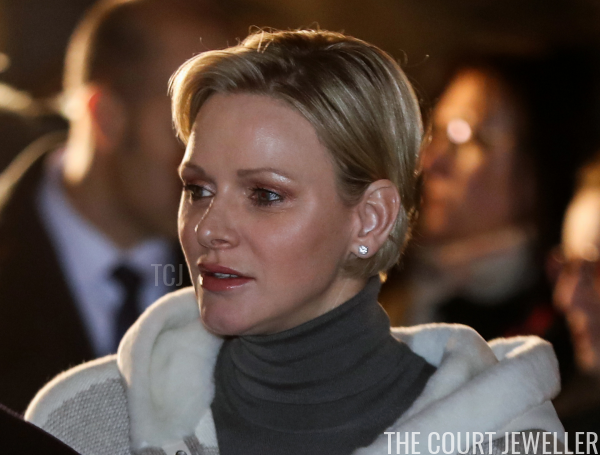 For the fire and fireworks display on Saturday, Charlene reached for a simple but sparkling accessory: large diamond stud earrings. 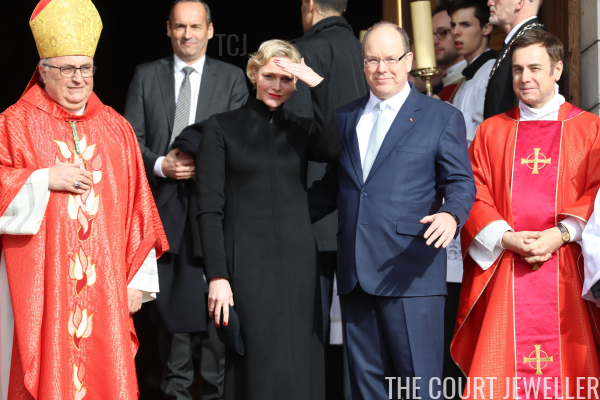 On Sunday, the feast day of Sainte Devote, Charlene accompanied Albert to Monaco's cathedral for a special mass. 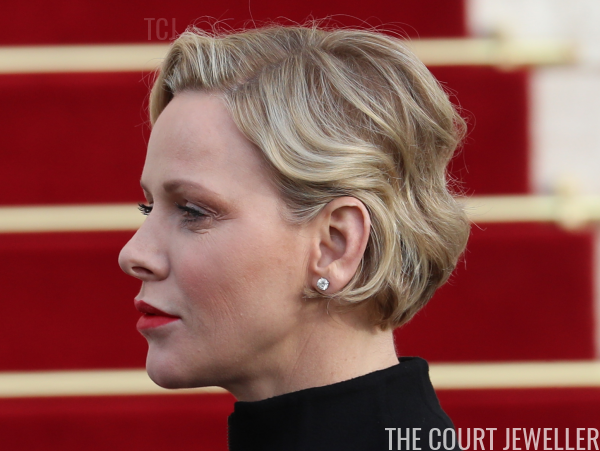 She also wore her diamond stud earrings for the service. They provided a bit of classic sparkle to her subdued ensemble for the event. She also wore her Cartier Trinity ring on her left hand. Here's a look at Charlene's complete outfit for Sunday's mass. 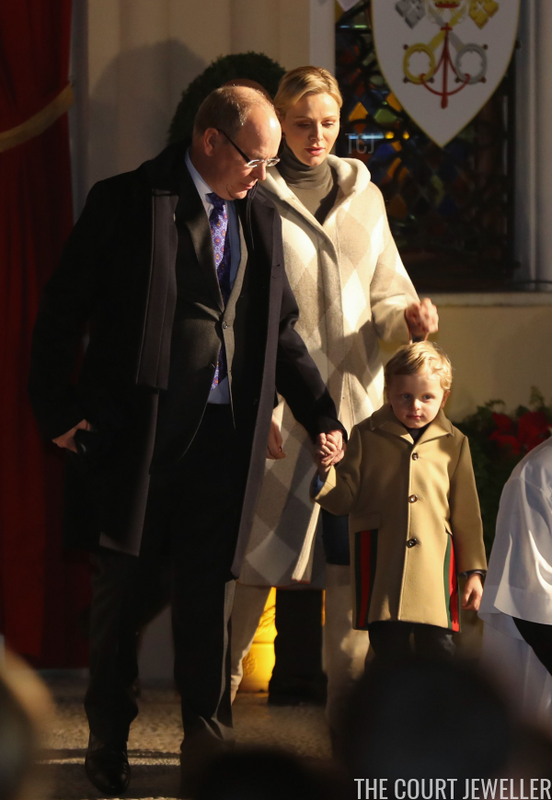 After the service, the princely couple returned to the palace, where they made an appearance on the balcony with Hereditary Prince Jacques, Monaco's future ruler. 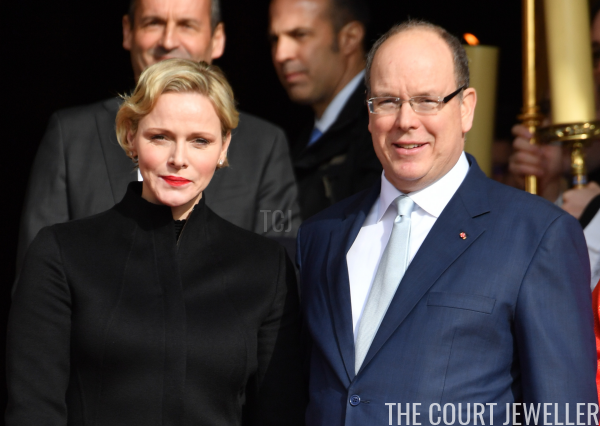 All three were clearly happy to greet the Monegasque crowds. 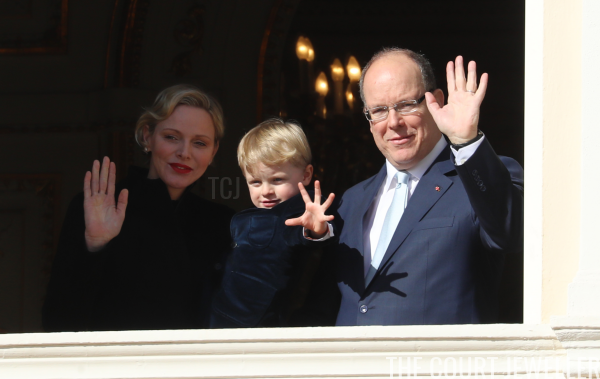 The Sainte Devote celebrations weren't our only cute kid moments from Monaco recently. Jacques and his twin sister, Princess Gabriella, also recently went to the Circus Festival in Monte-Carlo with their father, their Aunt Stephanie, and their Ducruet/Gottlieb cousins. Everyone seems to have had a great time!